Don't miss the third book in the Maggie Brooklyn Mystery series, which Discovery Girls calls, "A barking good mystery." "Take your cookies elsewhere." That's what the note said in neat, block-like print, attached to a box of Girl Scout Cookies. Someone is out to sabotage the new sweet shop in the neighborhood, and Maggie Brooklyn is on the case. If only she weren't so freaked out herself lately. 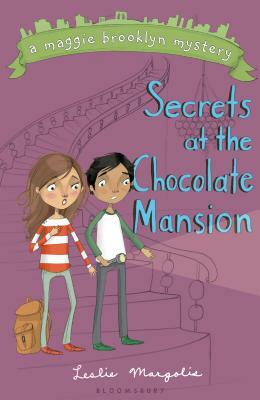 Maggie's new babysitting gig has her and her twin brother Finn hanging out in what they fear may be a real haunted mansion. And it's hard to solve real life mysteries when you think you're seeing ghosts! LESLIE MARGOLIS is the author of more than fifty books for young readers, including two Annabelle Stevens books: Boys Are Dogs and Girls Acting Catty. She lives with her family in Park Slope, Brooklyn-which is also the setting of her new series, the Maggie Brooklyn Mysteries.